PHOTOVILLE LA happening at Annenberg Space for Photography April 26 - 28 is a photographic festival experience featuring exhibitions of local and international photographers workshops and more. 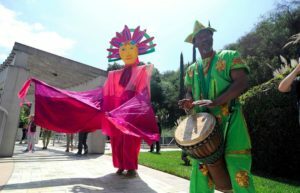 Grand Park's "Out L.A. Voices" takes over for a weekend-long spring arts gathering on April 27 - 28 that showcases diverse and important artistic work from Los Angeles county. This free festival features both visual arts exhibits, as well as dance, musical, and theatrical performances. This year's theme is "Origin Stories", and explores and questions Los Angeles perspectives and culture. 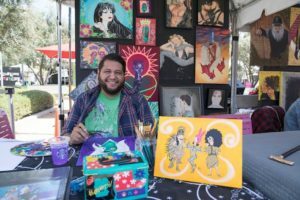 Jackalope Pasadena: Spring 2019 comes to Central Park in Old Pasadena April 27 - 28 for an expansive indie artisan art fair. 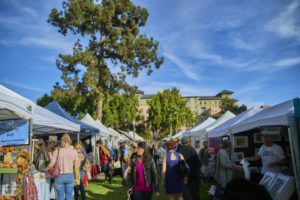 Shoppers can browse and purchase indie goods from over 200 makers who specialize in original fashion, jewelry design, paper goods, innovative home decor, housewares, art, photography, food, and more. The 14th Annual Thai New Year Songkran Festival 2019 returns to Hollywood’s Thai Town neighborhood on April 28 for one of the largest, free festivals in the area. This vibrant festival features a Sidewalk Cafe with many Thai food choices for purchase and the Singha Beer Garden with live jazz music. Skirball Puppet Festival: Fantastic Creatures returns April 28 for a celebration for the art of puppetry and the magic of storytelling at the museum's eighth annual Puppet Festival. This massive festival features both new and old tales,presented by a variety of puppets, in addition to live music, and art making. 2019's program showcases animals (both real and imaginary), including performances and creations by North Carolina–based puppeteer and designer Hobey Ford, as well as local artists Yulya Dukhovny, the Los Angeles Guild of Puppetry, and the legendary Bob Baker Marionette Theater.